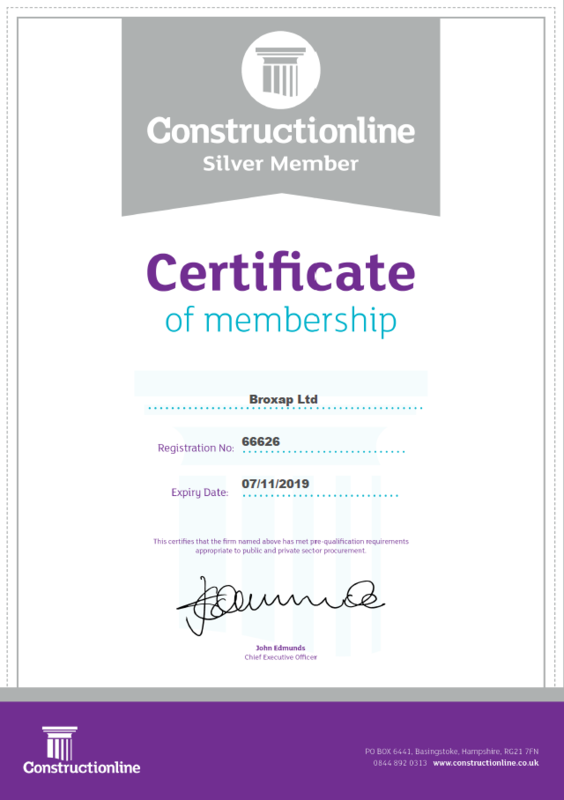 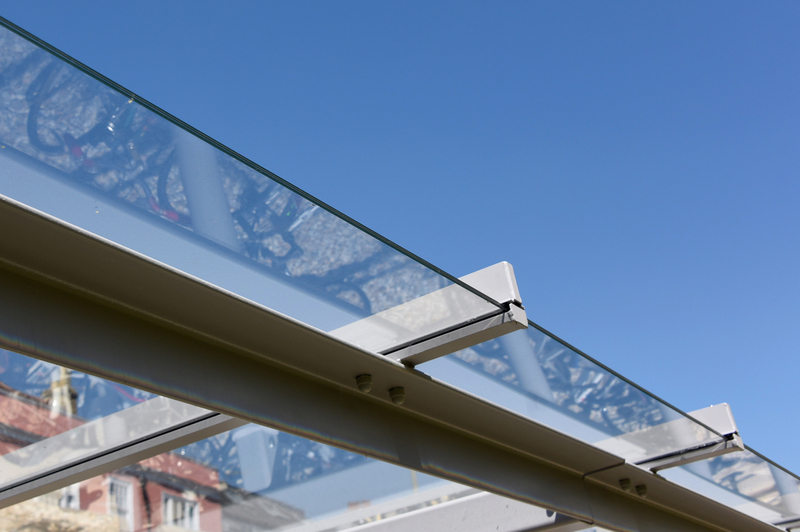 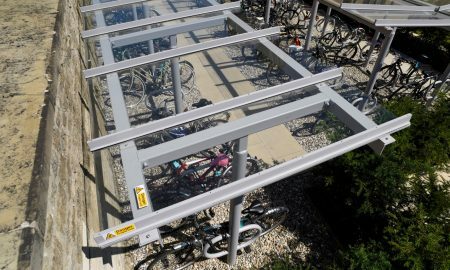 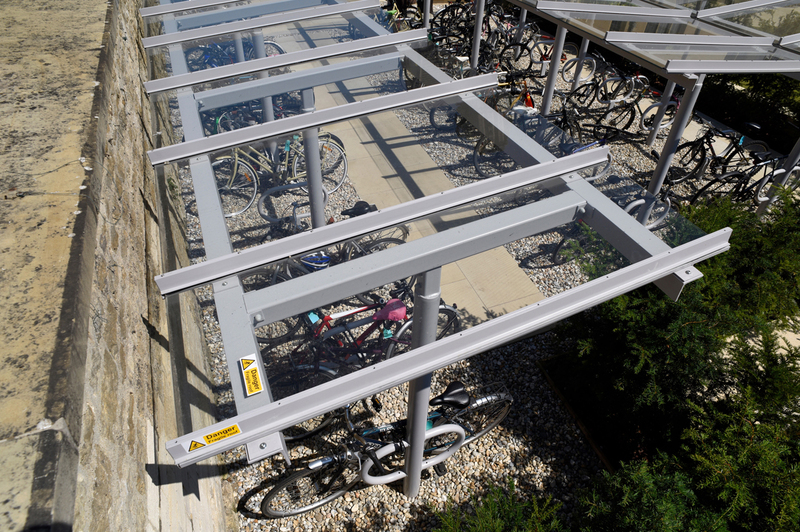 Broxap were asked by Stepnell Ltd. to create a specific type of cycle storage for the School. 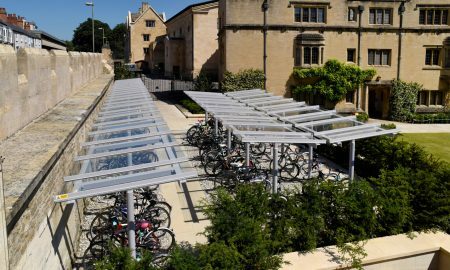 The requirement was that it would be minimal looking in style yet use strong and aesthetically pleasing materials to create a prestigious look. 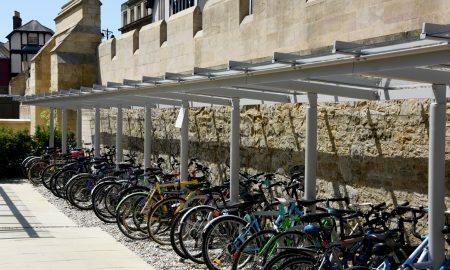 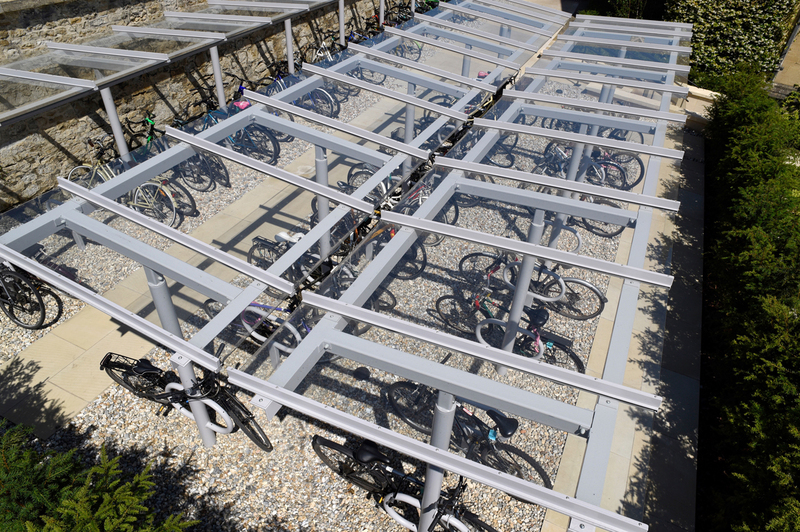 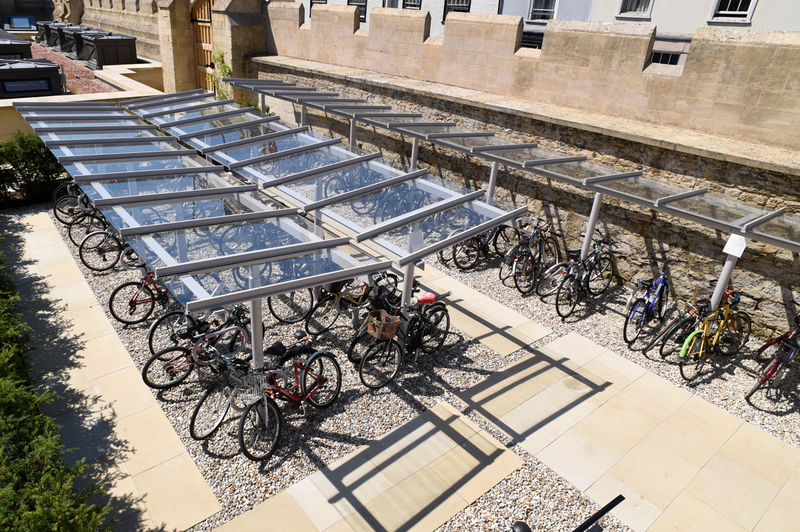 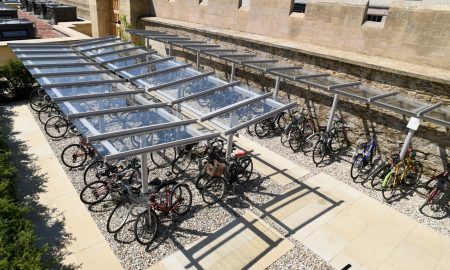 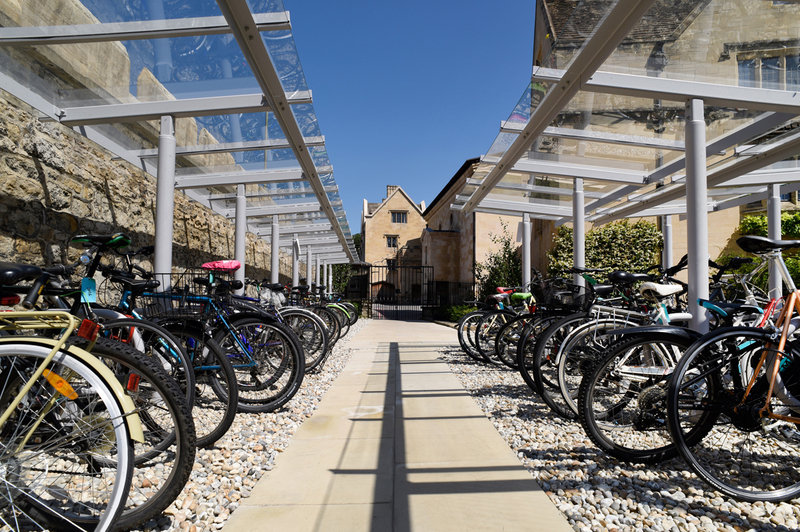 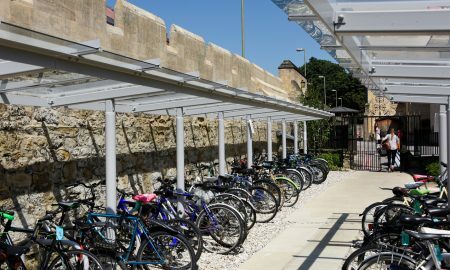 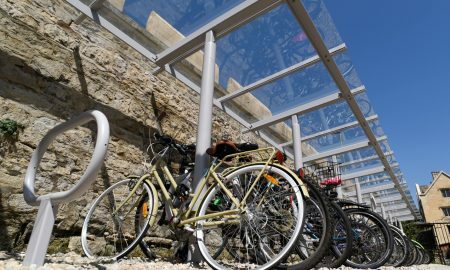 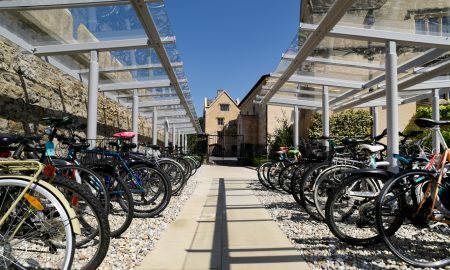 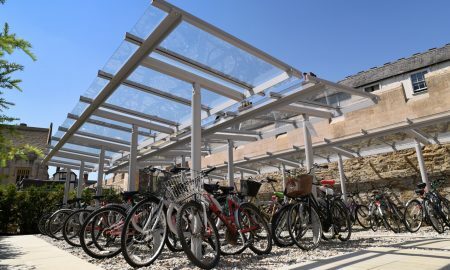 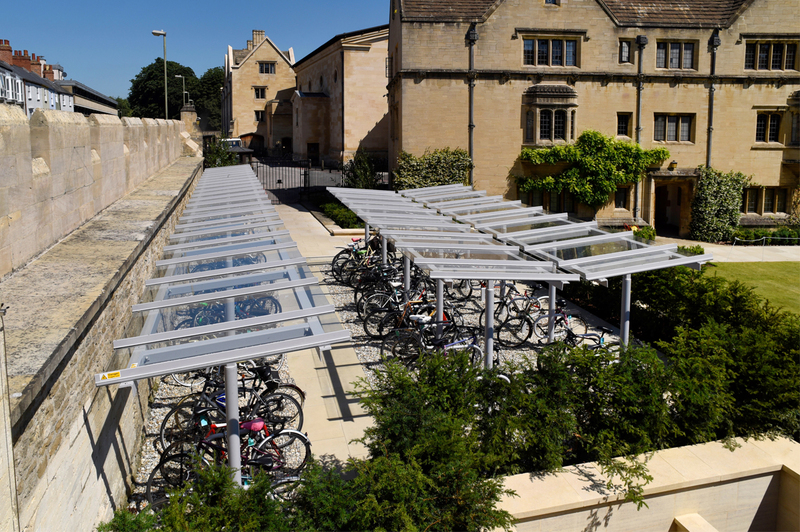 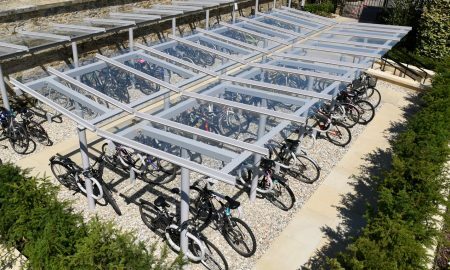 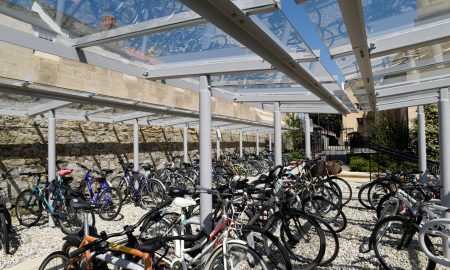 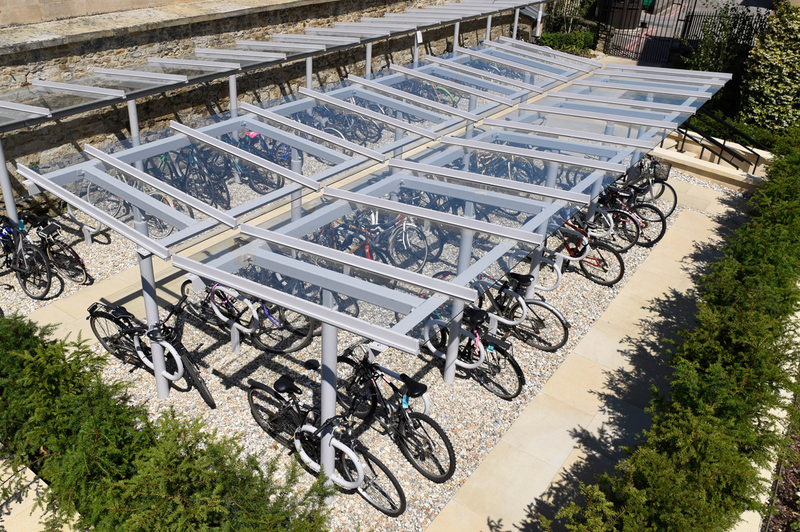 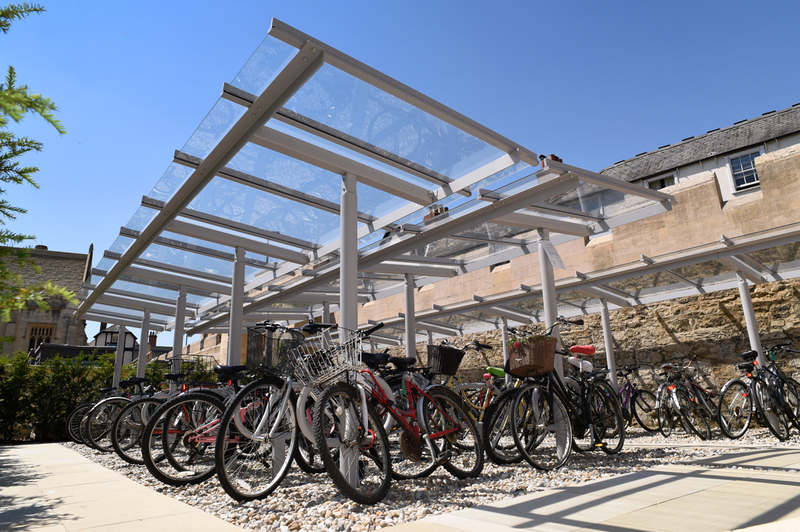 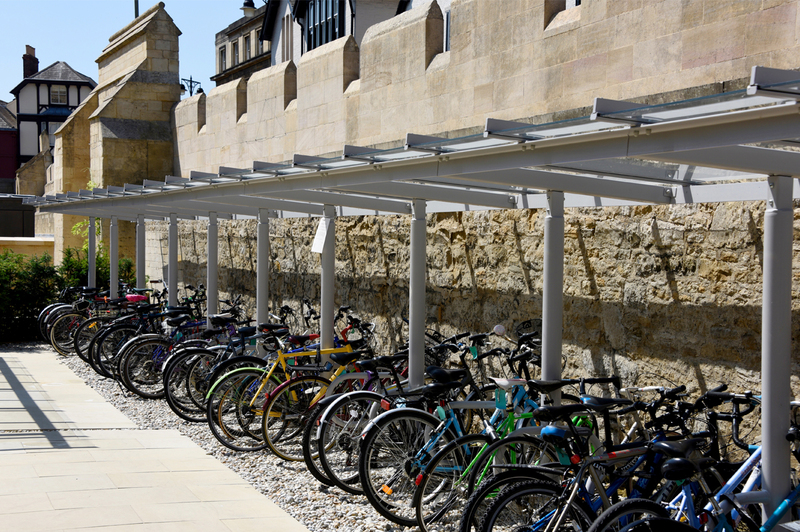 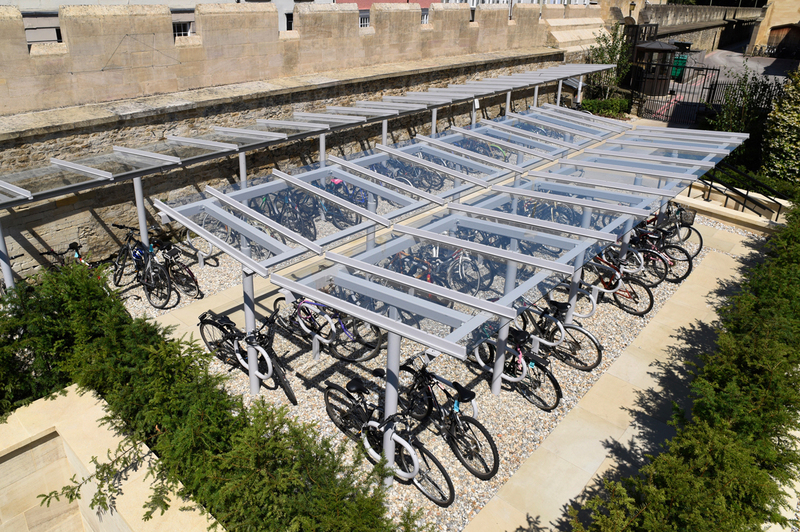 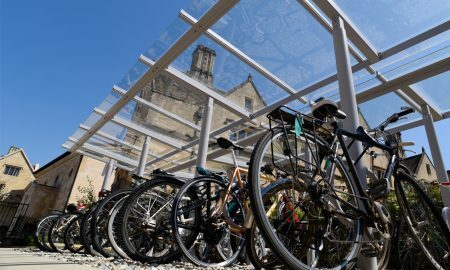 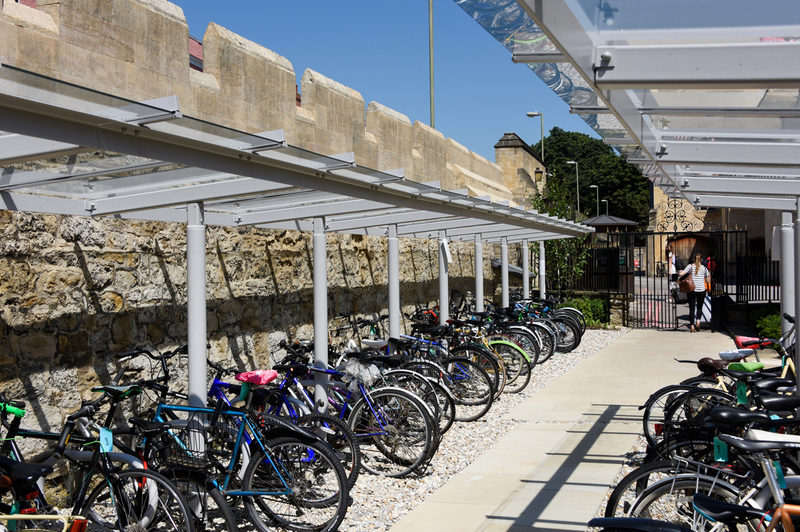 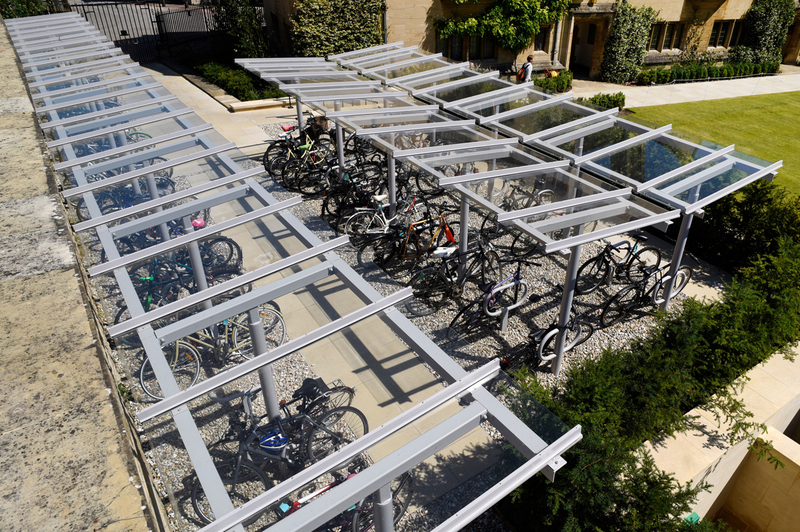 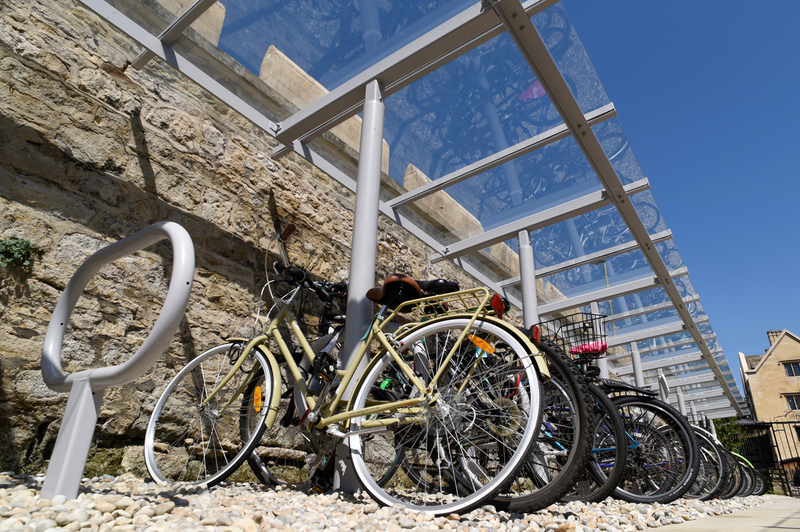 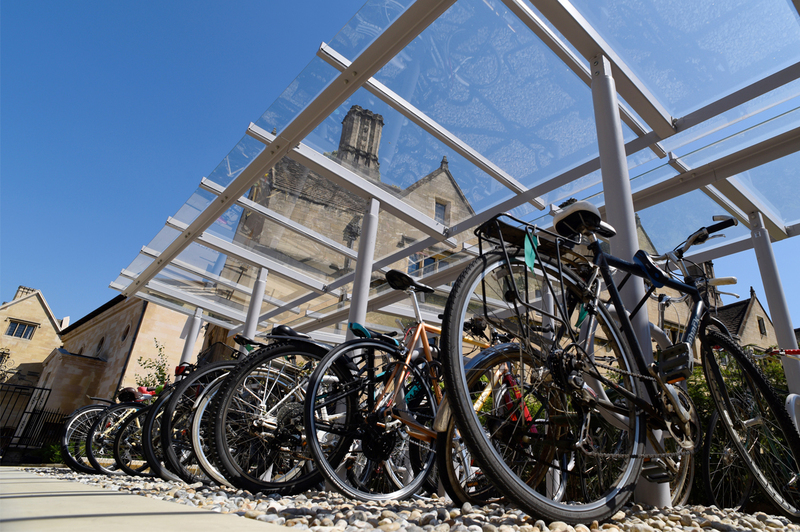 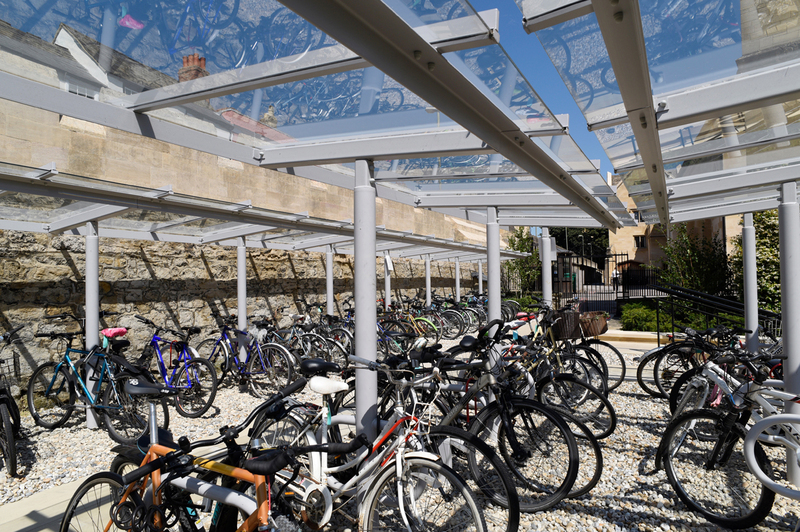 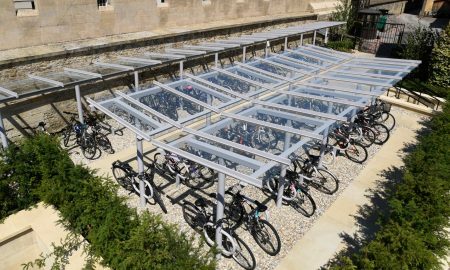 The courtyard area to be utilised sat within the walls of the historic college and to maximise the amount of cycle parking that could be utilised both gullwing and cantilever configurations were used. 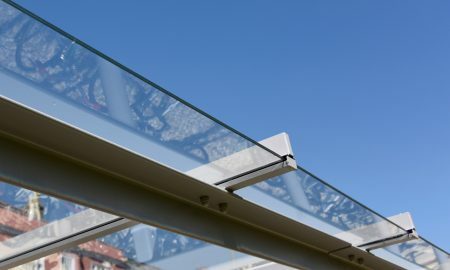 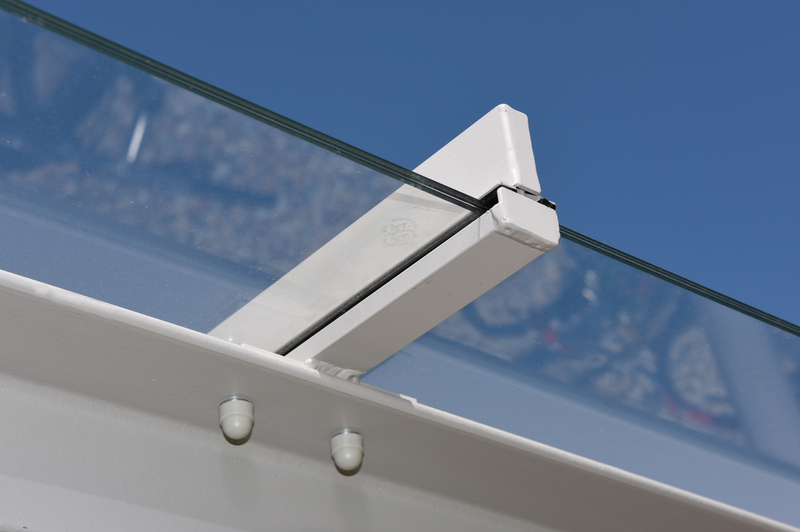 Using designs based around existing Broxap shelters The Coventry Cantilever and Gullwing, Broxap created a version of these that utilised round hollow section steel combined with a glazed roofing system that incorporated heat soaked toughened and laminated glass set into patent aluminium gazing bars. 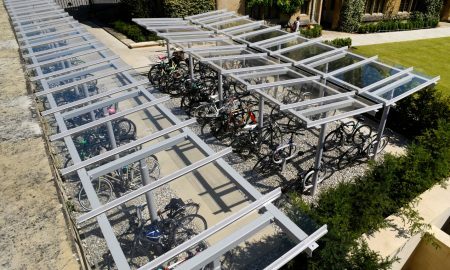 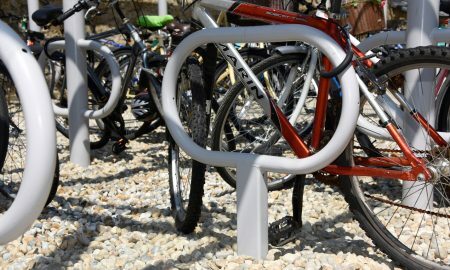 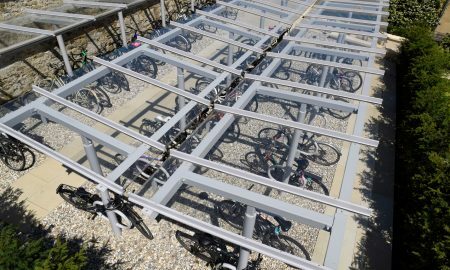 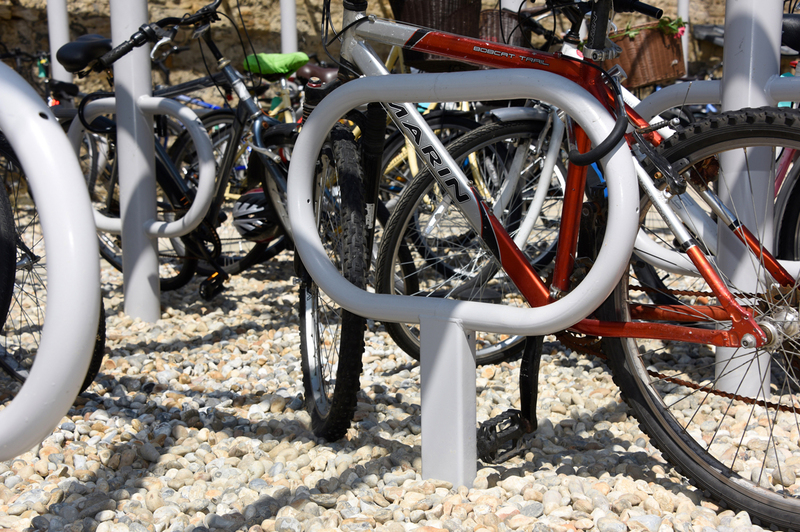 Beneath Broxap created a series of bespoke cycle hoops that ran beneath the shelters and offered parking for two cycles on each, this stand was also replicated and incorporated into the shelter uprights to maximise parking spaces.